This entry was posted on January 28, 2019 by Jenna Schiebe. Albert's Jeep is now sporting aFe POWER's Torque Tube Headers, High-Flow Down-Pipes, Throttle Body Spacer, and Cold Air Intake System. 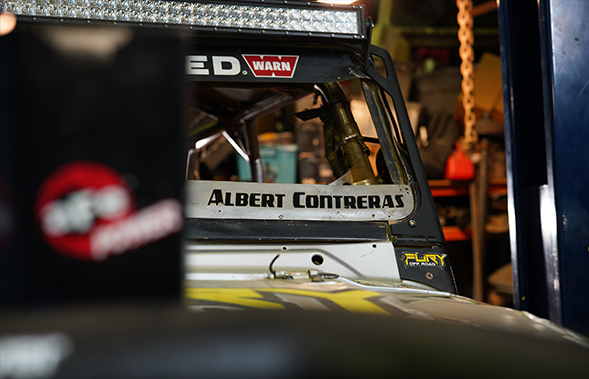 Albert and his team will be racing Wednesday, February 6th, 2019. Stay tuned to aFe POWER's blog and social media for KOH coverage. 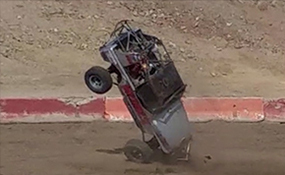 The King of the Hammers event is the ultimate combination of rock crawling and off-road racing. 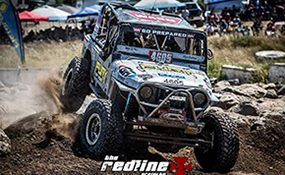 It’s referred to as the most difficult single day off-road event in North America – but still is basically an off-road enthusiast's heaven. The event draws insane amounts of attendees to Johnson Valley, California – from racers and fans, to vendors and media. 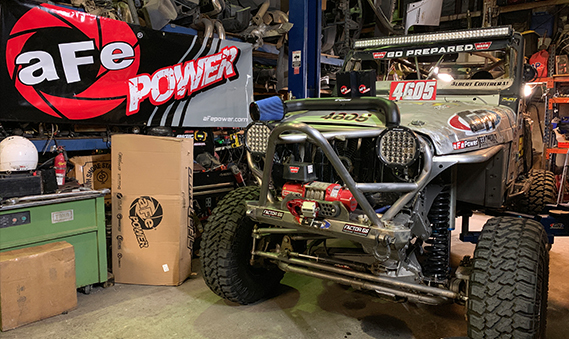 Months before KOH, thousands of off-road enthusiasts are spending their nights in the shop, cranking away at their builds in preparation for Every Man Challenge (EMC), King of the Hammers, Desert Invitational and even grueling UTV races. 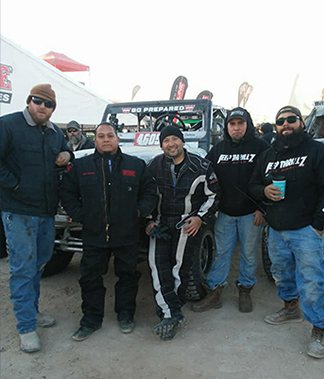 KOH Week draws mixed feelings (a love hate relationship, as some say), similar to that feeling that is familiar in other aspects of the aftermarket automotive world – whether it’s throwing loads money into your car only to have it break and do it all over again, or industry veterans' perception of large trade events. KOH is man vs. machine vs. nature. ...One of those enthusiasts is a good friend of ours, Albert Contreras. Here’s his story. Racers are a unique breed; there are those that race for the money and to get their name plastered on a trophy. But, there are also those that race because that’s what they’re truly passionate about – and that’s what they love doing. That’s Albert. A certain level of respect comes along with those that can build something with their very own hands, to surpass those that have put hundreds of thousands of dollars into a build. 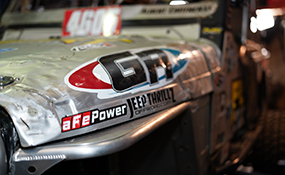 Though he has yet to cross the finish line at KOH, Albert has already earned respect from many enthusiasts for his work. Albert has been into Jeeps since a very young age and started with just tearing them apart and getting to know the platform. Now, he knows every single generation like the back of his hand. 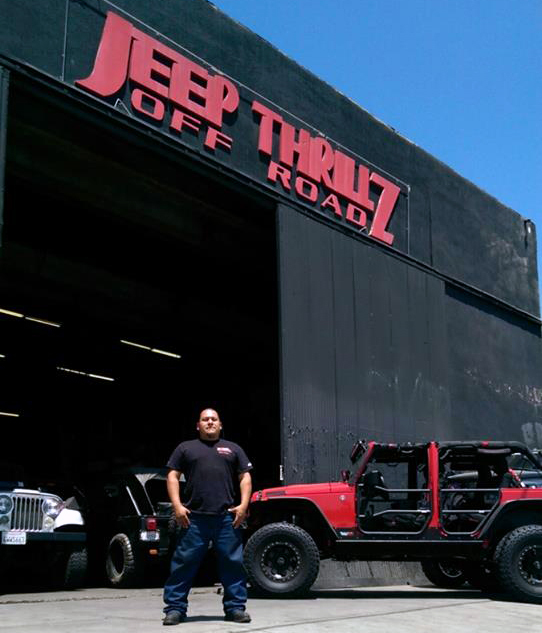 That’s why his Southern California based shop, Jeep Thrillz, is so highly recommended in the off-road community. 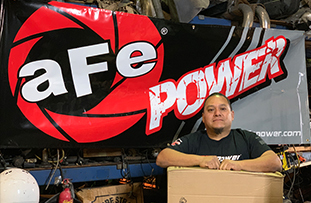 He was an aFe POWER product connoisseur long before we got in contact with him – reportedly running our air intake and exhaust systems for the past 7 or 8 years or so. As soon as we learned of his mission with KOH, we were extremely excited to step in and offer our support. or that much closer to the finish line.